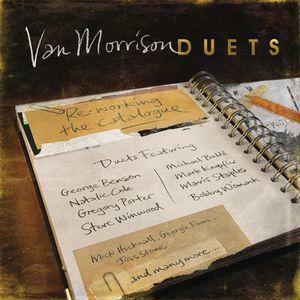 Van Morrison and the guests selected and recorded some of his songs from the catalog of 360 songs across his career. Deliberately steering away from his more well-known classics, Van enlisted some of the artists he most respects to perform these songs with him to re-craft and re-imagine them. The album was recorded in his home town of Belfast and London over the last year, using a variety of musicians and fresh arrangements. Produced by Van Morrison along with Don Was and Bob Rock, the album features duet performances with Bobby Womack, Steve Winwood, Mark Knopfler, Taj Mahal, Mavis Staples, Michael Bublé, Natalie Cole, George Benson, Gregory Porter, Clare Teal, P.J. Proby, Joss Stone, Georgie Fame, Mick Hucknall, Chris Farlowe, and Van's daughter Shana Morrison.